Tripura is a hilly state, about 7,866 sq. Km i.e. near about 74.98% of the total area of Tripura is covered by hills. 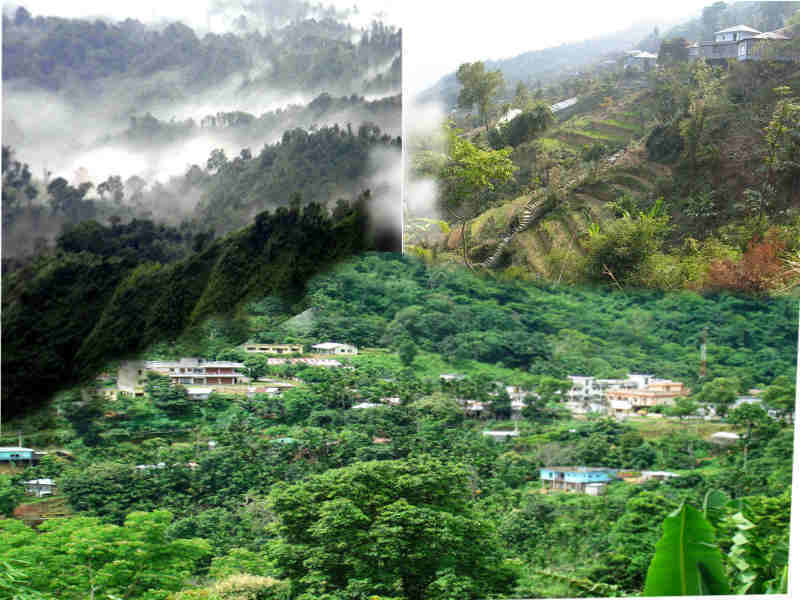 Among them following are the major hill ranges of Tripura. About 200 km from Agartala. The highest hill range (Almost 3000 feet above sea level) bordering Tripura and Mizoram. It has 11 villages with 8000 villagers(Mizo, Lushai tribes and Reang tribes) whose occupation is mainly orange cultivation. During October to December the oranges trees are laden with fruits and the hill ranges looks orange coloured. ‘Eden’ Tourist Lodge at Vanghmun village on the hill top for the Tourist. 930 m high Betalongchhip is the highest peak of Tripura is in Jampui.